On April 6, 1968, The Who played the second night of their first run at the Fillmore East and left behind an incredible document. Did you know that Paste owns the world’s largest collection of live music recordings? It’s true! And what’s even crazier, it’s all free—hundreds of thousands of exclusive songs, concerts and videos that you can listen to and watch right here at Paste.com, from Lightnin’ Hopkins to Cream to Eminem to Prince. Every day, we’ll dig through the archive for the coolest recording we have from that date in history. Search and enjoy! 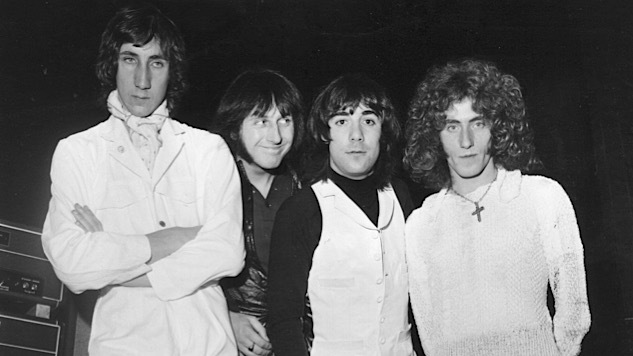 On April 6, 1968, The Who played the second night of their first ever run at the Fillmore East and left behind an incredible document of the band in their early prime, still full of the punk attitude that they would initially define while venturing off into more artistic and experimental territory. Every minute of this performance is fascinating and much of this material cannot be found, in better quality or at all, on any other Who recordings. This set captures the entire band fully engaged in their music. Although many songs were still short and concise during this stage of their career, the intensity level is undeniable. Opening the show with Eddie Cochran’s “Summertime Blues,” they immediately set a bar that most other bands could never even approach. The previous year, Rolling Stones Mick Jagger and Keith Richards were arrested on drug charges under questionable circumstances, and were victimized by the U.K. courts. They were harshly sentenced in an attempt to make an example out of them, which immediately caused an uproar that shook London to the core. Following the ridiculous sentencing, The Who quickly recorded two of their more popular songs in support and vowed to record nothing but Stones songs until the two were released. Their second song of this set is the Stones’ cover of the Allen Toussaint penned “Fortune Teller,” which they had just performed for the first time ever the previous night. They continue with “I Can’t Explain,” one of the few songs American audiences were familiar with at the time, but with a new level of aggression that wasn’t apparent on that early single. Next up is their current single at the time, “Happy Jack,” a tune that found them exploring new directions and beginning to experiment with dynamic changes. John Entwistle then steps up for his defining song, “Boris The Spider,” lending his dark sense of humor to the proceedings. The band embarks on their most experimental composition yet, “A Quick One While He’s Away,” which is incomplete and begins in the middle of the song. This adventurous suite of songs, loosely tied together, is a hint at Townshend’s future aspirations that would eventually be realized in his first full-blown rock opera, Tommy. This is a fascinating performance for its entire eight minutes. The Who close their set this night with another propulsive jam on “Shakin’ All Over,” again letting the music propel them through several pulverizing jams, including spontaneous flailing of riffs familiar from other songs. Again, the raw energy is astounding. This and the previous night’s performance must have gone a long way toward cementing their reputation in New York City. This should be required listening for anyone interested in that era of rock music and especially for anyone interested in The Who.